Advice on gift etiquette in China, and stories about giving gifts in China. From one Western woman with a Chinese husband. 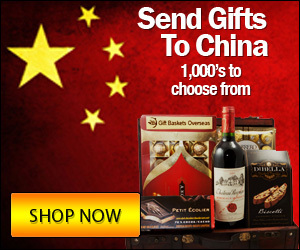 How should you NOT give gifts in China? What are the things to avoid? Here are 4 ideas you won’t want to try if you’re hoping to impress. “What should I give to my loved ones/family in China?” I’ve discovered there can be a simple answer – the fruit basket, or even a well-chosen gift-basket. To make your holiday to-do list a little easier, I’m rounding up all of my gift-giving advice in one easy post. 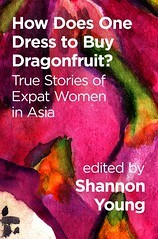 Includes ideas for your Chinese friends and family, as well as hosts and even business associates. What gifts should you give to the parents for a Chinese wedding? I offer examples of wedding gifts in China, and suggestions on what to bring. Ask the Yangxifu: Why Does My Chinese Family Refuse My Gifts? An American woman wonders why her Chinese in-laws seem upset every time she gives them a gift. Why do they always refuse what she buys for them? Chinese men don’t usually celebrate birthdays. But a Western woman may never see her Chinese friend again, and wants to give him something to remember her by. What gifts are best bought abroad for your Chinese family? Jocelyn provides suggestions for Chinese parents, grandparents, women, men and children.